All classes are faciitated by Douglas Caputo, professional actor, Director, Eric Morris student, and co-founder of The Space Between Theatre Company. An in depth exploration of your individual artistic core and the creative process using the revolutionary techniques of one of today’s most sought after acting coaches. 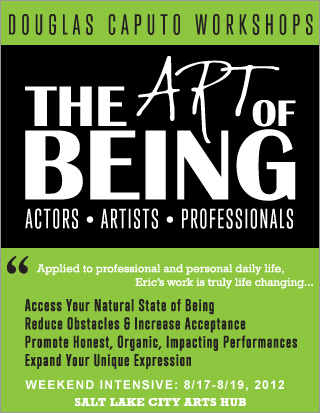 "Applied to professional and personal daily life, Eric’s work is truly life changing... "
"When I read the book by Eric Morric called "No Acting Please", it put it all in perspective for me." "If you want to be still and full, Eric teaches 'the stuff' - now one is more zealous in his pursuit of 'the work' than [Eric Morris]"
Live instruction of Eric’s work has not been available in SLC for over 30 years. Don’t miss this opportunity to engage in this transformative weekend. 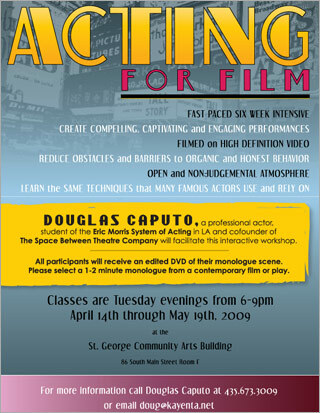 Douglas Caputo is a professional actor, director, teacher, co-founder and former Artistic Director of The Space Between Theatre Company and a student of Eric Morris for over 20 years. $125 before August 10th, $150 thereafter. A Workshop For Actors, Artists and Professionals committed to becoming the predominate creative force in their own life using the transformative technices of Eric Morris. Explore the Science of ART. 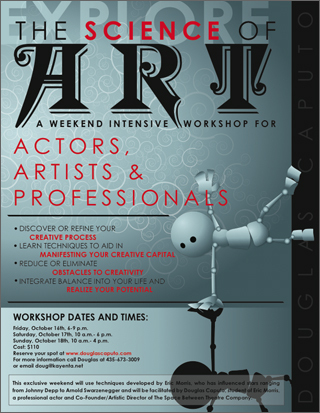 A weekend intensive workshop for actors, artists and professionals. 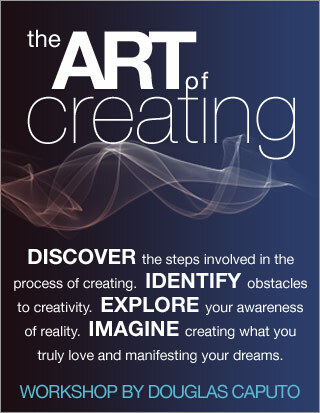 Discover or refine your creative process. Learn techniques to aid in manifesting your creative capital. Reduce or eliminate obstacles to creativity. Integrate balance into your life and realize your potential. A Provocative and insightful nine week course that empowers through accessing one's own natural state of being. 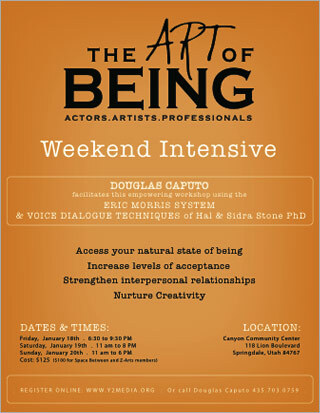 Using relaxation and transformative material such as the Voice Dialogue Techniques of Hal and Sidra Stone PhD's and the concept of Sub-Personalities attendees will increase levels of acceptance, strengthen interpersonal relationships and nurture their innate creativity. 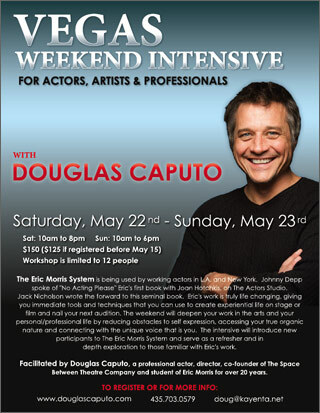 This comprehensive six week workshop will use the Eric Morris System of acting to address the unique requirements for truthful acting for film. Tthis transformational course is designed to reduce obstacles and barriers to organic and honest behavior. Taught in an open, accepting and non judgmental atmosphere this indispensable interactive and exploratory program is a must for all actors, artists and professionals. The weekend will deepen your work in the arts and your personal/professional life by reducing obstacles to self expression, accessing your true organic nature and connecting with the unique voice that is you. The intensive will introduce new participants to The Eric Morris System and serve as a refresher and in depth exploration to those familiar with Eric's work.